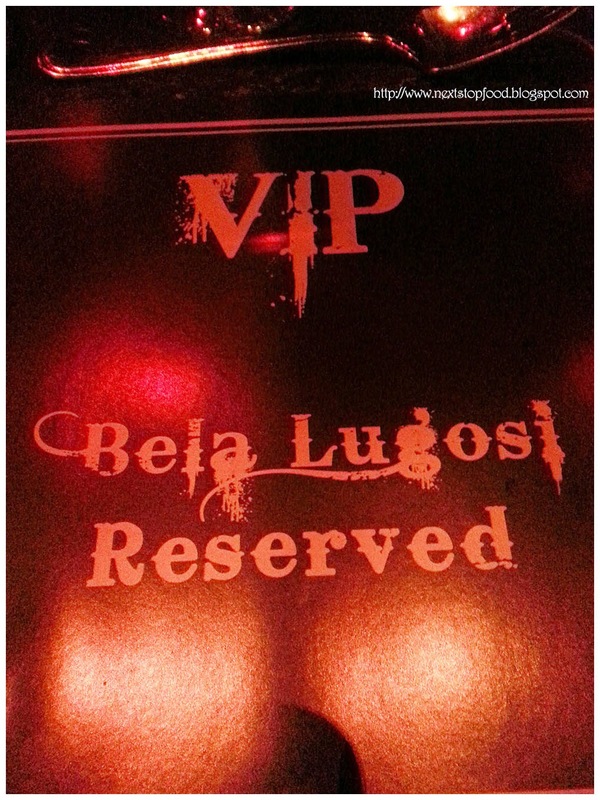 Next Stop: Food | Food Blogger located in Sydney Australia: Dracula's Cabaret: Be a Vampire for a night and drink your full! Dracula's Cabaret: Be a Vampire for a night and drink your full! 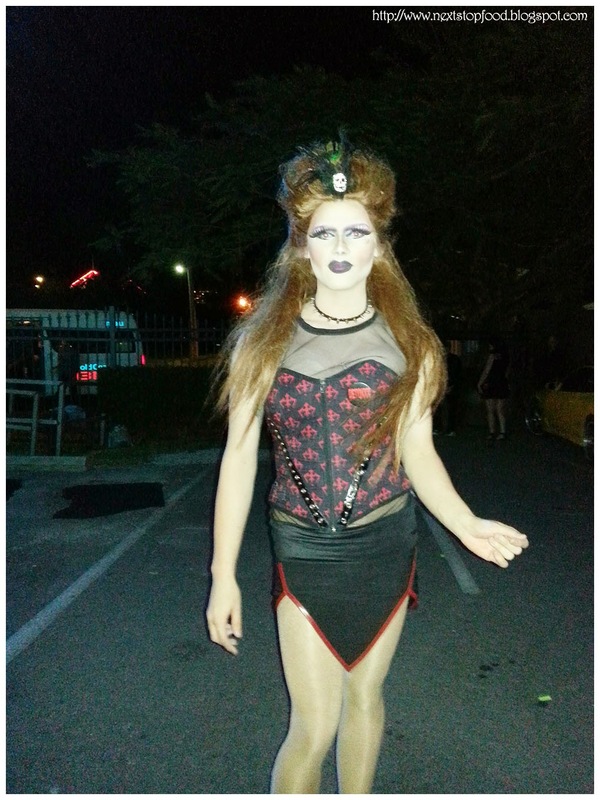 My first time at Dracula's on the Gold Coast and it was a really fun experience. Everyone I have spoken to prior to the event said we would have an amazing time! Dracula's Gold Coast had just changed their show to Sin and Tonic. A very raunchy, musical spectacular. Upon arrival we were greated by the staff and entertained during our wait to go inside. The man juggling made quite a spectacle doing flips of the rock and juggling fire. We had booked VIP tickets which were $130.00 each, this came with a VIP bag with a souvinir book and candy tassles. From my understanding VIP was on the top circle and non VIP were seated down near the stage. Now! There is a special surprise at Dracula's when you go into the venue. I wont disclose the surprise, but it was very entertaining and later video expressions were exchanged on a big screen. I was informed that this is a ritual they do at every show. We were told we could not take photography or video of the show, but they did not mind me taking photos of the food. Once seated at our booth, there was a set menu for the main course. The draculette would come around and take our orders individually. The drinks were very expensive, BUT they came with novelty cups which you could keep. You could order any cocktail in the yard glass ($38) or the skull glass($28). there was also a large fish bowl available, which came with 6 different shots for the price of $48.00. 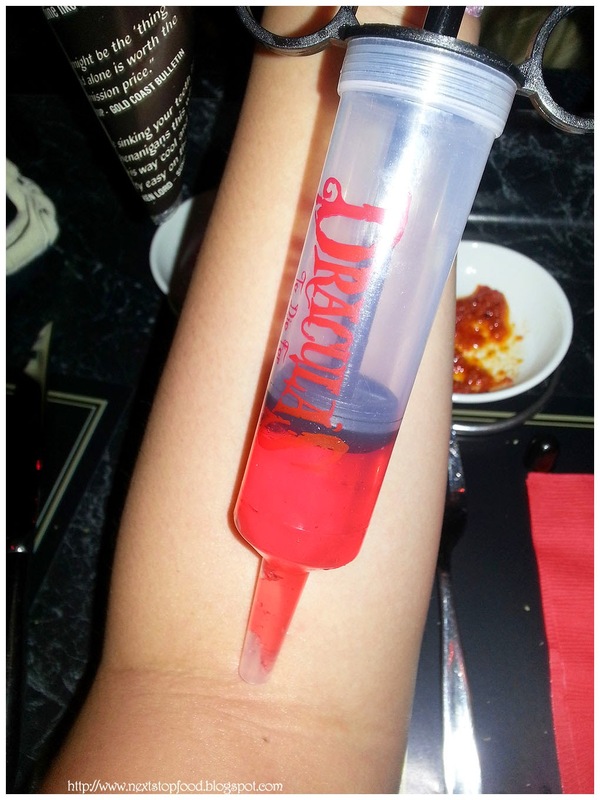 Memorable mention is the $10 alcohol jelly in syringes. 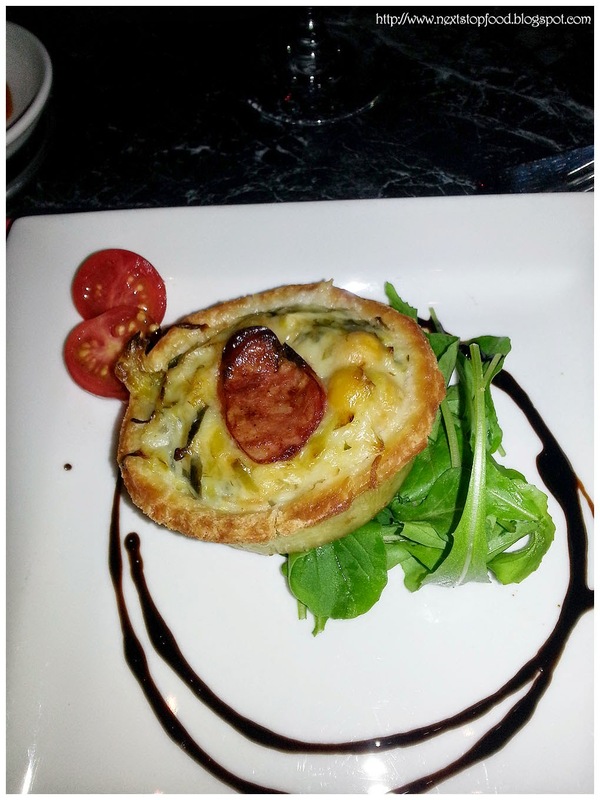 Our entree was a Chickpea and ricotta, chorizo and leek in a tartlet. 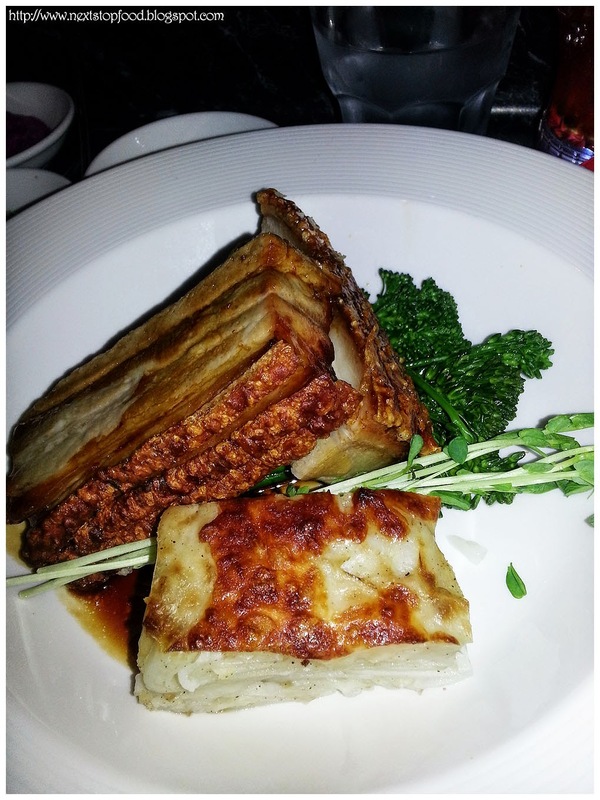 There was more variety when selecting the main such as Chicken, Lamb, snapper, vegetarian and pork belly. 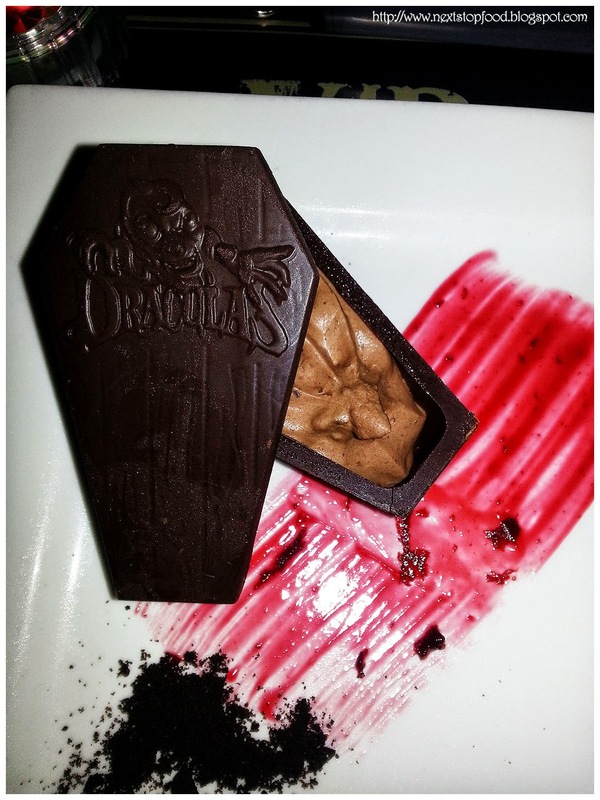 The dessert was Dracula's signature dish Creamy Bacio with roasted hazelnuts and frangelico liqueur in a dark chocolate dracula coffin. 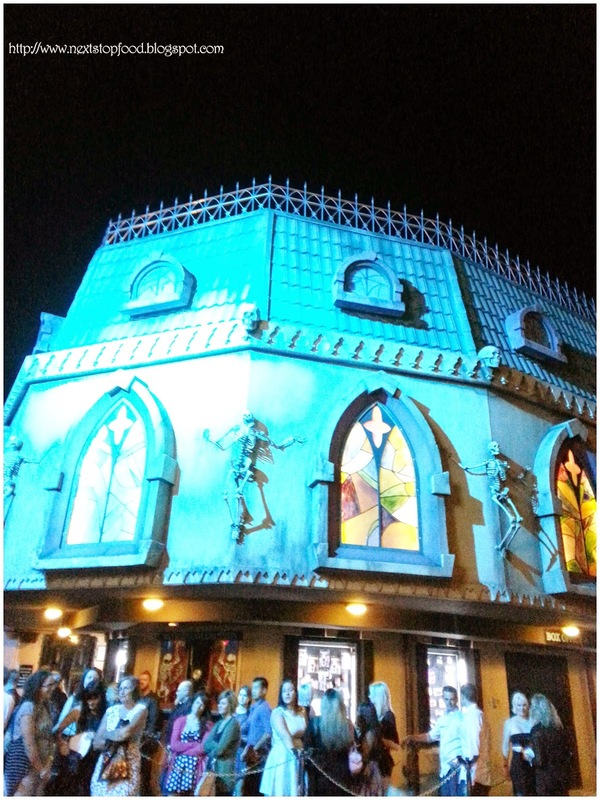 This fine venue is a dinner and a show, the show entailed many short skits, some funny, artistic and flexible. There was plenty of time inbetween skits to go to the bathroom or get another drink and you wouldn't miss a thing. The live band was a very nice touch to the show, demonstrating that the show was well timed and they could improve if needed. The show itself went for about 3-4 hours, we had arrived at 7ish and we left around midnight. 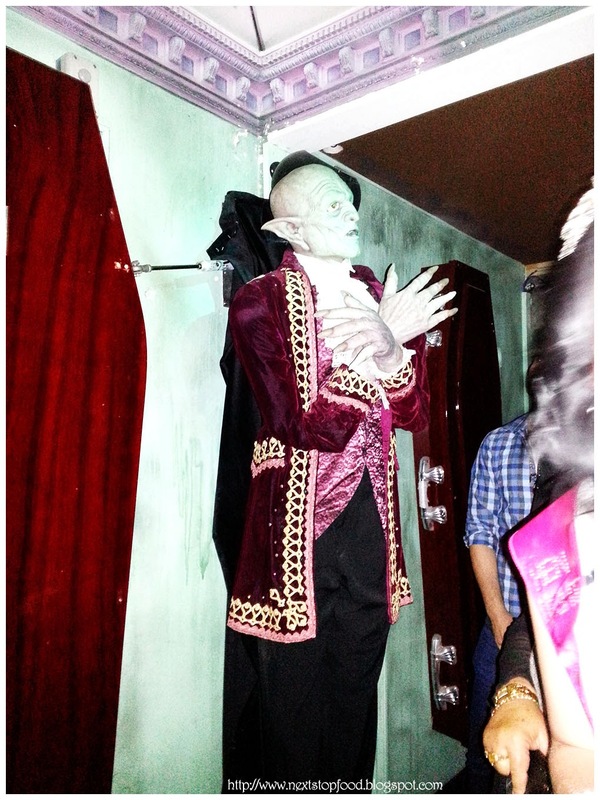 Dracula's was something different and I had a great time. The VIP booths had a great view from the top, but there was not a great deal of room to move. I suggest booking normal seating downstairs alongside the stage, during the show the characters would even interact with the people in the normal seating. Great food and a fantastic show, I highly recommend going!